KNOWLEDGE, ATTITUDES AND BEHAVIORS REGARDING INFLUENZA VACCINATION AMONG HYGIENE AND PREVENTIVE MEDICINE RESIDENTS IN CALABRIA AND SICILY. You are at:Home»Embj»KNOWLEDGE, ATTITUDES AND BEHAVIORS REGARDING INFLUENZA VACCINATION AMONG HYGIENE AND PREVENTIVE MEDICINE RESIDENTS IN CALABRIA AND SICILY. Vaccinating health care workers is considered to be one of the most important steps in preventing the transmission of the influenza virus to vulnerable patients. 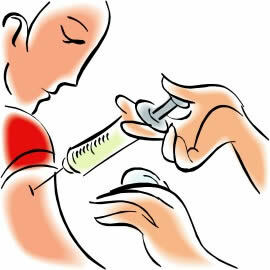 Public Health physicians are the main promoters and executors of influenza vaccination campaigns for both healthcare workers and the general population. The objective of the present survey was to analyze the knowledge, attitudes and practices regarding influenza vaccination among Hygiene and Preventive Medicine Residents. the main factors associated with influenza vaccination compliance were having been vaccinated in the previous season for 2011/2012 (OR [95%]: 41.14 [7.56 – 223.87]) and having received the vaccination always or occasionally during the previous 5 years for both 2010/2011 (p-value <0.0001) and 2011/2012 (p-value <0.0001). The findings of this study suggest that future public health physicians with a history of refusing influenza vaccination in previous years usually tend to maintain their beliefs over time. Changing this trend among Hygiene and Preventive Medicine residents is the real challenge for the future, and it can be achieved through organization of multidisciplinary training, improvement of university education and increasing the involvement of Hygiene and Preventive Medicine residents in influenza vaccination campaigns both for the gen-eral population and health care workers.